Once a brand achieves success in its domestic market, top management usually explores opportunities to market the brand internationally. Multi-national companies continuously investigate new opportunities to grow their market share by entering emerging markets. Generally, the most attractive markets have a large, bustling middle-class, limited competition and a vibrant economic outlook. Some of these countries are included in the BRIC nations—Brazil, Russia, India and China. 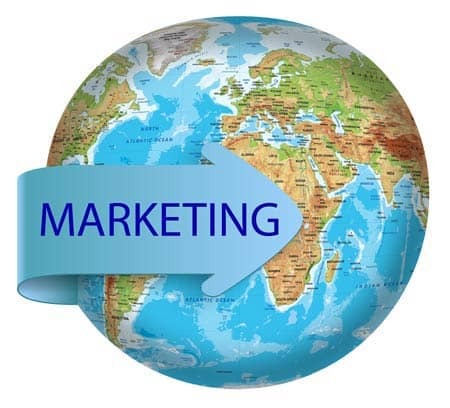 Other countries that have gained the attention of marketers include several developing members of the EU and oil and mineral rich nations in Africa. Marketing brands to international markets can be challenging. Products and advertising that are successful in one country may flop in another country. Entering a new market without first-hand knowledge can prove disastrous in terms of both the money the company invests and the embarrassment of a poorly planned product launch. One reason that new products fail when launched in new markets is that decision makers at the corporate level lack cultural knowledge, professional translation skills and valuable insights into the local market. This lack of knowledge often is not discovered until after a campaign or website is launched, when it is too late. For this reason, many companies have decided to control key elements at the corporate offices, while allowing personnel at the local level to have a voice in marketing and other sales and distribution aspects. Often brands need to customize their marketing mix to be successful in a foreign market. Before entering a market, it is wise to conduct marketing research to determine the specific changes that need to be made. Different races and cultures require varying degrees of customization. For example, a U.S. manufacturer of women’s clothing may need to make changes to its product line to better fit Japanese women. Similarly, different cultures respond to advertising messages, colors and products differently. Companies like The Marketing Analysts use observation and interview techniques to identify the different ways products are evaluated and consumed. If needed, changes in the marketing of the product are made. Procter and Gamble uses local marketing research teams to watch consumers closely in different countries. Part of their mission is to assess how closely consumers in different markets are similar so that they can minimize changes and tailor their products and marketing messages as needed. When a brand goes international, marketers strive for a certain level of consistency that will allow their brand to be recognized throughout the world. People recognize a brand by its quality, aesthetics, packaging, logo, color, font and even the type of retail outlet. Most consumers don’t expect to find premium brands at Walmart. However, because attaining this level of uniformity can be challenging for some companies, they allow a certain level of leeway. For example, an organization like UNICEF is sometimes challenged when entering primitive markets that don’t have access to radio, television, printing resources or the Internet. In such cases, keeping track of how marketing communication is being managed in the field is impossible. Thus supervisors must be trusted to make the right choices, since they know the local market. I think customization does play a big role when going international as a brand. The product, packaging and the logo does not really needs to change colors, but the advertising needs to be targeted and customized even by color – depending on the country it is being targeted. Product customization is even more important – KFC, for example, has introduced vegetarian items in its Indian menu – which is working pretty well for the company. When people go for branded items, they keep their quality expectations high. There are cheaper local equivalents to any branded products, but consumers go for the branded ones thinking the quality will be much higher. Companies going multi-national should keep their quality levels high and uniform to retain brand loyalty across nations. We can’t always assume everything translates exactly as we think it should. Sometimes we need to add a cultural spin or even change what we are saying or selling in a different country. Thanks for posting! There is so much to consider in the global marketplace. I did find out the “hard way” that some of my digital products couldn’t be downloaded in certain places. Youtube for example if we are trying to “brand” via that platform, it is not allowed in certain countries. Yes, we do have do our homework! Global branding challenges are not new and completely unexpected. In the market place a brand will typically face challenge. To ensure that uniformity is maintained, the need to understand what the immediate hosting community wants must be applied. Marketers exploring International markets must ensure that value is shared after understanding the customization needs of the particular market explored! Lack of knowledge of what the local market wants is often the biggest challenge in global branding! Great blog, KFC and many more example is there.